Bring your couple, family, friends to become a film stars together.Feel the adventures and great vacation in the film village.The one only in Bali Paradise. ​in a World Film Village. Like you have your real Film. ​Be your own star, why not. at the city. Tourist as Object. ​World Film Village.Tourist as Subject. TIME TRAVEL IN BALI, FILM EXPERIENCES JOURNEY JUMP TO BALI STONE AGES, FIND THE LOST TEMPLE IN THE MIDDLE AGE & THE GIANT'S TRACE , BACK TO BALI NOW, UNTIL BALI ALIEN ABDUCTION THE FUTURE . 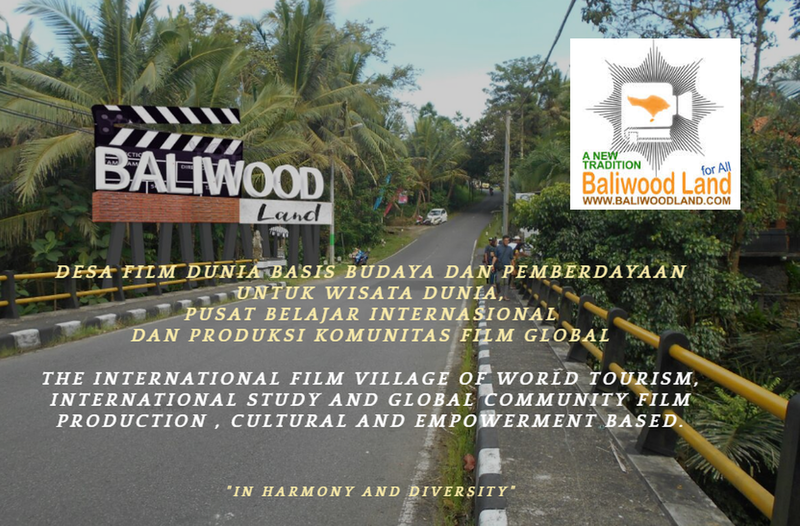 FEEL BOTH, 1 MINUTE TRAILER FILM PROJECT AS TOURIST ADVENTURE PACKAGE (LOW BUDGET CINEMATIC RESULT) AS WELL AS THE FILM EXPEDITION JOURNEY IN THE BEAUTIFUL BALIWOOD LAND, FILM TOURISM PARK.THE ONE ONLY IN BALI PARADISE. AFTER PRODUCTION IN OUR TOURISM FILM PARK LOCATION , THEN YOU CAN SUPERVISE DIRECTLY YOUR FILM PROJECT EDITING IN OUR CO FILM LABS NEAR THE RICE FIELDS & FOREST. 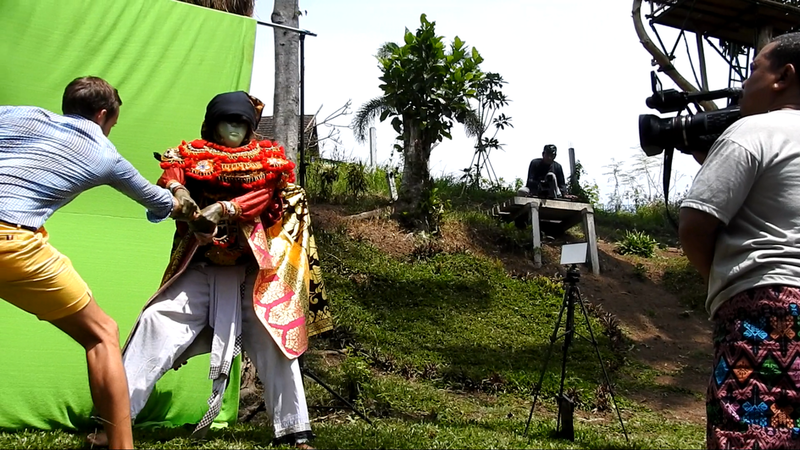 AND WHEN YOU ARE WAITING YOUR FILM TRAILER FINISH, YOU CAN LEARN OUR LOCAL CULTURAL ASSETS AS FILM PRODUCTION ASSETS IN OUR CULTURAL FILM STUDIO. "Tourists aren't looking for reality, but its symbolism", because they know that everything is simulated, everything is just a game. "And they like it"
We are so glad to be like a real movie stars in our life experiences, we have a nice film trailer we can upload anywhere , like we have a real film. And I like also the panorama location in my film. 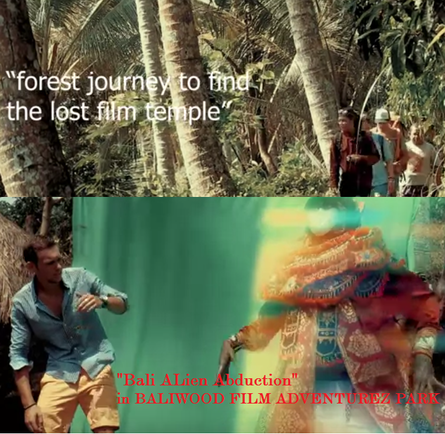 ​The Tourism Film Park location around Baliwood Land is so amazing idea for the Tourism Adventures and a new Experiences. 2) Day 2 : film adventure exploring Baliwood Mystery forest (Baliwood Land) / 1 Day movie star program. Continue Journey to the beach nearest. 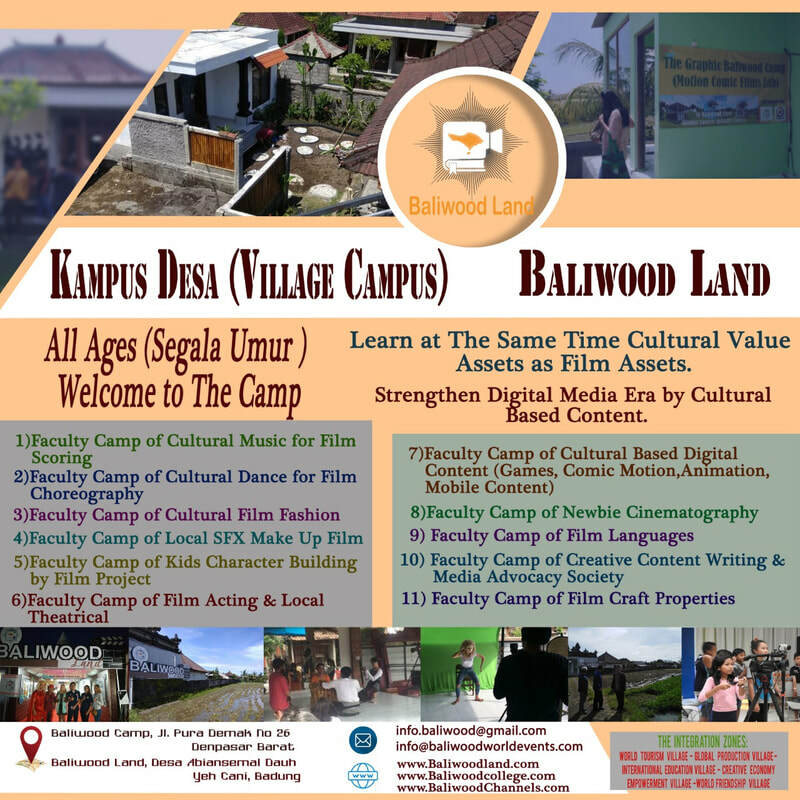 3) Day 3 : Cultural film asset learning in village campus studio : traditional music, dance, make up, fashion, etc (Baliwood Land). The World Multi Zones Film Village in Bali.